Since 2001 Bee Moved has continued to deliver friendly, reliable and careful removals, with a customer service led reputation. We strive to undertake each removal job to the highest possible standard. First and foremost we pay a great deal of attention to our customers needs and requirements. We listen. This approach helps us to plan each job meticulously. We know that moving is a daunting and sometimes stressful experience, Bee Moved has over 1500 happy customers every year. Just like them we will give you a stress free removal. We guarantee you an honest, reliable service- one that is taylormade to your requirements and your budget with safe, insured relocation of your possesions to your new home or storage with us. We are so confident that you will be delighted with our service that we don't require any payment until your job is complete and you are 100% satisfied. 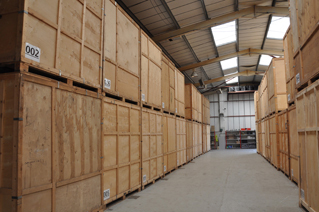 Together with our sister company Bee Stored we also offer dedicated storage for our customers whether storing for a day or a year, storage starts from as little as 75p per day. So whatever your requirement is, you can ask for a free no obligation quote. All you need to do is just call us on 01273 204098, ask for a callback request or complete our free no obligation quote form online for a price today. Being based in Sussex we provide services in Brighton, Hove, Worthing, Eastbourne, Tunbridge Wells and Crawley relocating people UK wide and through our on site quoting portal we can collect from properties UK wide. 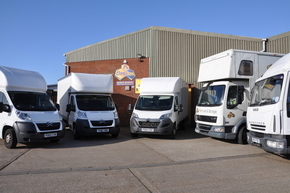 Our modern low emmissions fleet is especially suited for London removals. Bee Moved also offer a comprehensive packing service be it for fragile packing or a full packing service. If you pack then included in our price will be your packaging materials, boxes, bubblewrap, tape and paper. All our work is insured and covered to ensure that you have a stress free relocation. Our services are available to all sizes of properties or moves with our fleet of different sized vehicles. For smaller sized moves we offer an hourly rate for 2 men and a luton van, prices start from £60 per hour. To know how Bee Moved has helped its clients with domestic and office removals, check out our Testimonials or News section also see our reviews with Really Moving our moving partner and our feedback as current on Check a Trade.